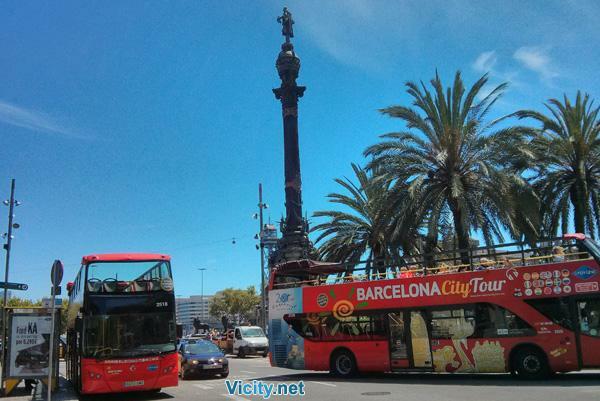 Visit the Nou Camp + Barcelona football team museum and get there with our bus. Duration Nou camp + Barcelona football team museum visit: 1 hour and a half approx. Duration hop on hop off: 2 hours approximately for. You are free to choose between 2 bus routes or even both. Period: 02/01 - 30/12. Winter 9:00-19:00. Summer 9:00-20:00. Frequency: every day except on january 2nd and december 25th. Departure: Placa Catalunya (Catalunya square). Duration: 2 hours each route. Audio guide: English, Italiano, Spanish, French, Catalan, German, Chinese, Dutch, Portuguese, Russian, Hindi, Japanese, Arabic, Swedish and Hebrew..
With the incredible ease and popularity of the Hop On Hop Off Barcelona City Tour, visitors to the city can travel to all of the must see sights in a convenient way. Learning the history and culture of the city is easy with a state of the art audio set up, complete with personal earphones that can translate in to a total of fifteen different languages. 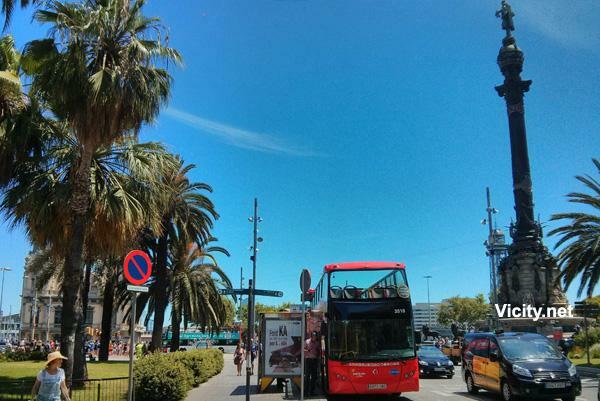 Visit the Nou Camp, see the city and enjoy the weather at the same time: riders are provided with a handy guide map that contains information about all of the stops along the city route, including enticing discount vouchers for different establishments across the city. Our newly renovated buses are fully operational for disabled visitors with reduced mobility, and come equipped with a retractable roof to combat the risk of rainy days. There is a heating system on each deck and there is always a stewardess on hand to help with your enquiries. The tour operates along two different routes: the east route and the west route. The frequency of arrivals and departures varies by season, but you will never have to wait more than 20 minutes to begin your city tour, with each route taking approximately two hours. 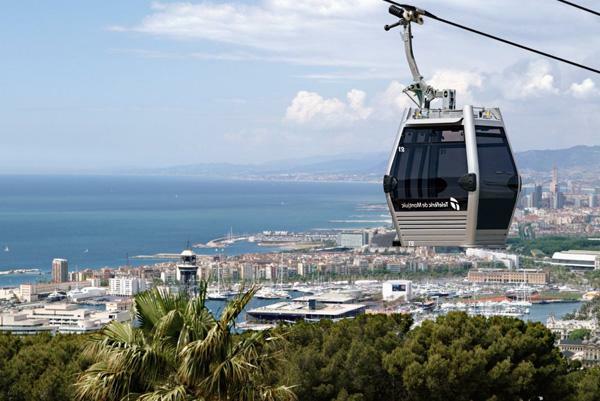 Tour frequency: Tours depart daily, between every five to ten minutes depending on the height of the season, please note that visitors can purchase a one or two-day hop on hop off package that includes one visit to the Nou Camp stadium. Departure times: The tour departs from the Placa de Catalunya in the winter between 9am and 7pm, and in the summer between 9am and 8pm. For the Nou Camp experience, please consult the timetable. Check in times: Visitors are required, before boarding the bus for the stadium, to transfer and pick up entry vouchers and the Hop On Hop Off tour of Barcelona/Nou Camp. Tour duration: the route for the Hop On Hop Off tour is approximately two hours in total. The Camp Nou experience tour lasts approximately 90 minutes. Blackout dates: this service does not operate on New Year’s Day and Christmas Day. 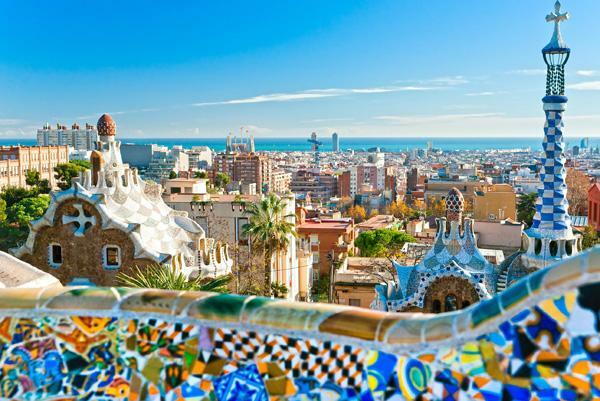 Foreign languages: The hop on hop off tour of Barcelona offers a wide range of languages on their buses, a total fifteen including English, Italian, French, Spanish, Catalan, German, Chinese, Dutch, Portuguese, Russian, Hindi, Japanese, Arabic, Swedish and Hebrew.